IPCPR 2017: J. FUEGO CIGAR CO. This is a brand I like which offers a quality product in many of their lines. I think a big part of folks not knowing about company is the distribution was sketchy. It is hopefully resolved with the changes announced in their management. I wish them good luck so other cigar mavens will discover the brand. 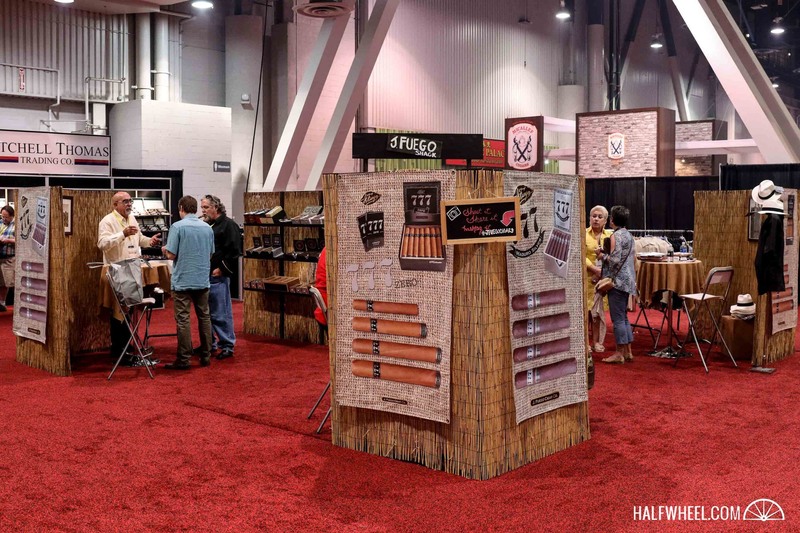 There’s been a number of changes at J. Fuego since last year’s trade show. The company has turned over sales to Cypress Group Miami, a company headed by J. Fuego’s former national sales director Joseph Bravo, Berta Bravo, owner of The Guayabera Lady, and James Thomas, a friend of the Bravo family. With this move, Jesus Fuego now spends the majority of his time at the company’s Estelí based factory, which opened last year. J. Fuego Cigar Co. was one of a handful of companies to bring back an older brand, as the company has enough aged wrapper to relaunch its Gran Reserva. Just over four years since discontinuing his Gran Reserva line, Jesus Fuego has brought it back. It’s now made at his new factory in Estelí, Nicaragua using aged Nicaraguan corojo seed tobacco exclusively, with the youngest tobacco in the blend found in the wrapper, which has been aged for six years. It also gets updated bands.